Funko is releasing seven new Overwatch Pop! Figures, including two six-inch toys for Wrecking Ball and Bastion. The other heroes getting the Funko Pop! treatment are Pharah, Reaper, Brigitte, Moira, and D.Va. 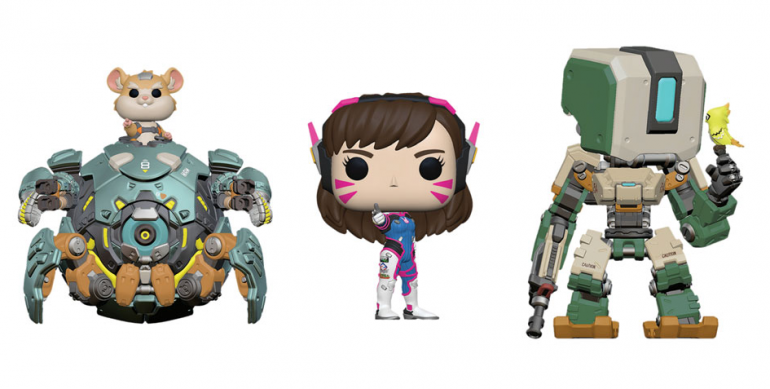 D.Va already has a Funko Pop! Toy, which features her mech unit. The new one is the traditional size, without the MEKA. Wrecking Ball’s six-inch Pop! toy is similar to D.Va’s mech variation, as it includes the whole unit with the teeny hamster bursting out the top. Funko shared images of the new products during the London Toy Fair, but did not say when the figures will be available—just that they’re coming soon. Four new Pop! keychains were announced, too—one each for McCree, Orisa, Doomfist, and Widowmaker. Pricing and timing for these is not immediately available either. Typically, the oversized Pop! figures cost around $15, while the regular-sized toys sell for $10. Blizzard and Funko already offer a bunch of Pop! heroes, like Mercy, Ana, Hanzo, Orisa, Zenyatta, Symmetra, Mei, and Zarya.